Interested in trying another form of wine tasting? 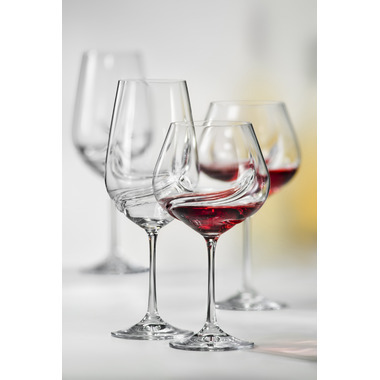 With the Oxygen glassware, no need for decanting: the embossed blades oxygenate the wine to release its full aromas. No carafe needed! 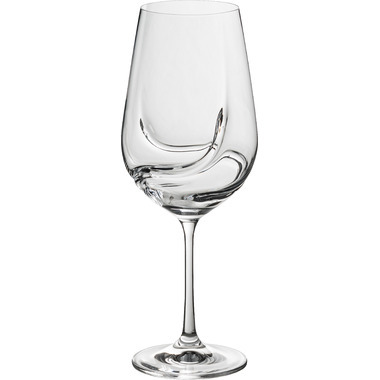 Wine lovers will appreciate the simple elegance of the lead-free crystalline glass, a complement to any dinner table. This stemware is also a perfect gift for engagements, weddings, or anniversaries. Delight your guests in just a few easy steps: swirl, smell, taste, and enjoy!